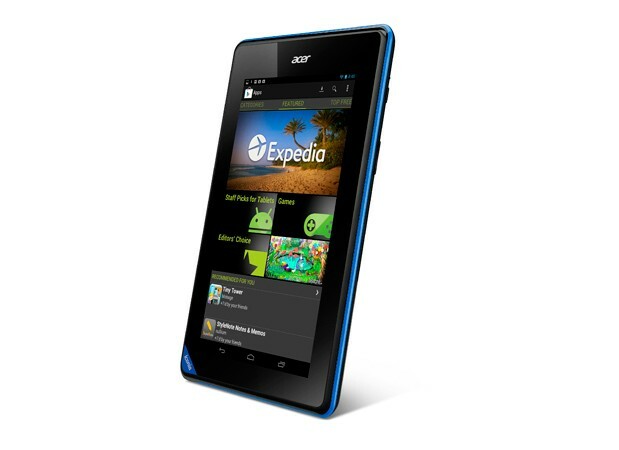 Deal: Ebuyer offering the Acer Iconia B1 for £79 after cashback! Some of you out there might remember when Acer launched their super affordable Iconia B1 tablet. Some called it the Nexus 7 killer, but most people saw it for what it is: insanely good value! For whatever reason Acer has initiated a cashback deal if you pick up the device, which Ebuyer are currently promoting. If you pick up the Iconia B1 for £99.99 you can claim £20 cashback, effectively making this a £80 tablet. For £80 you get a heck of a lot; there's Android's 4.1 Jelly Bean operating system running on a dual-core 1.2GHz processor from Mediatek. You'll have 512MB of RAM, a WSVGA, that's 1024x600 pixel 7" screen, 8GB of internal storage and a single front-facing 0.3-megapixel camera. If you're interested you can get the device from Ebuyer here!